You can write as many of these as you would like. They do not expire and will be available to you for as long as you hang onto your Polymail account. Comments can not be edited or deleted. This will pull up a list of team members you can tag in your Mention. Once you select them and write your comment, you'll see their name tagged and they will receive a notification from us. 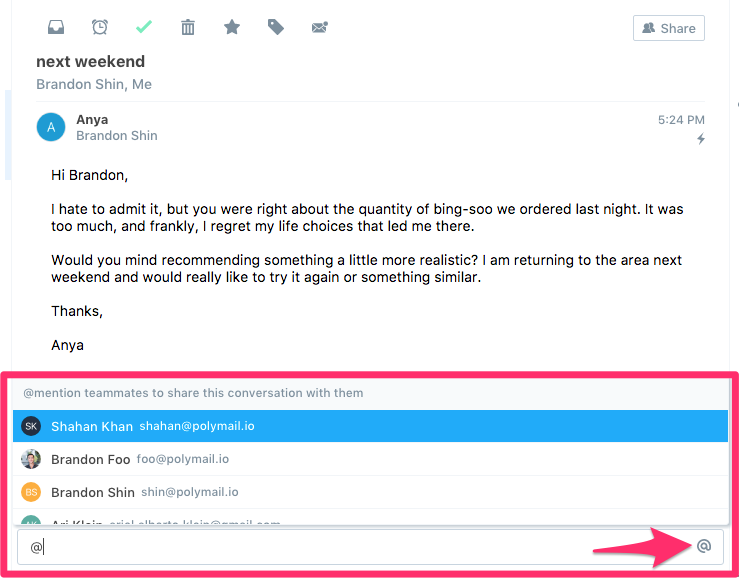 All Mentions you've received will be stored in this tab in chronological order (with most recent at the top). 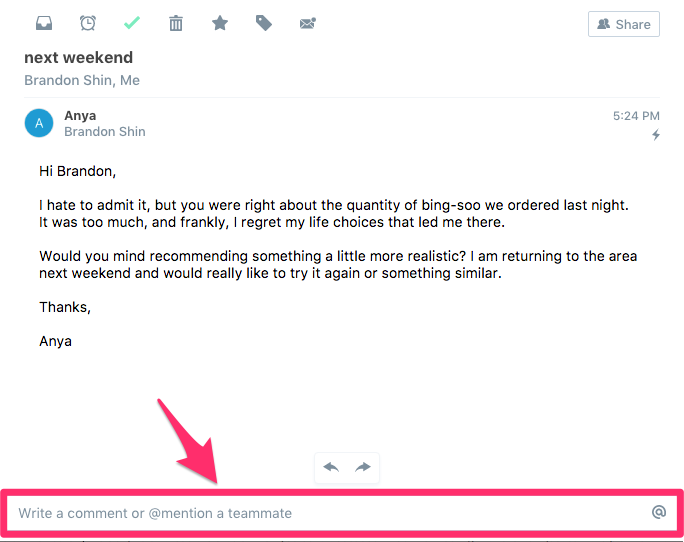 Once your colleague receives a mention from you, they can view the message in question, leave comments as well, and mention other people on your team (sharing it with them, too). 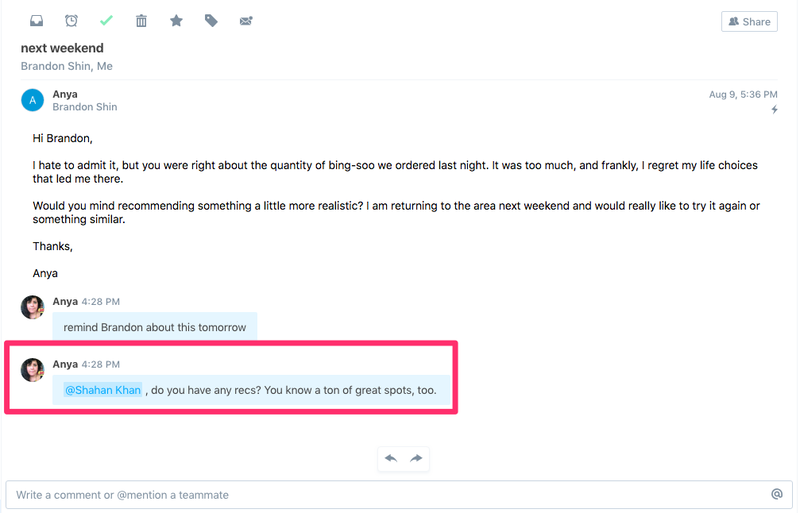 Mentions cannot be edited or deleted.